It's that time of year again. In early January, several reports will appear in the press (e.g. The Sun) suggesting that the third Monday of January has been identified as the most depressing day of the year. It is true that some days of the week evoke strong emotional responses. In fact, a small body of research has identified regularities between weekday and behaviour, and also between weekday and mood. Across studies on these topics, two main patterns are emphasised. One is the so-called Blue Monday effect. 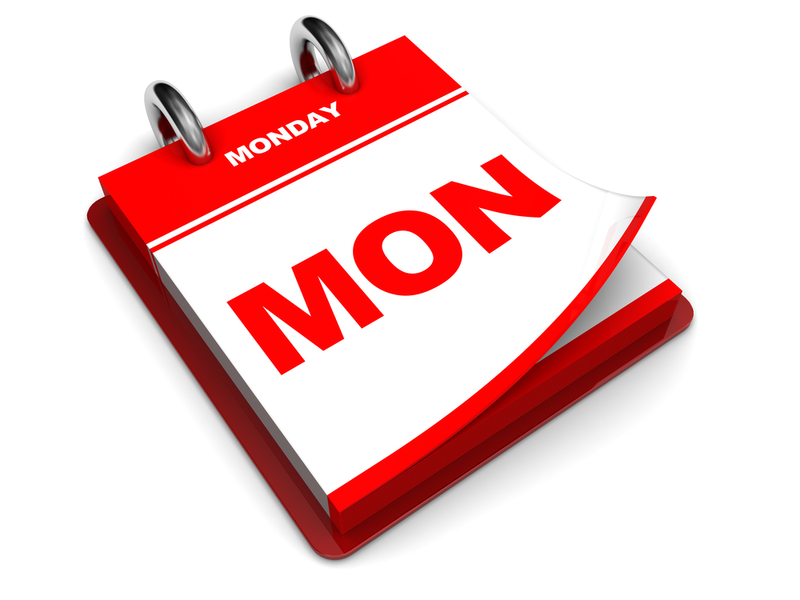 In a wide range of situations and measures, outcomes are especially negative on Mondays. Many of these situations are non-trivial, as they pertain to health and economic matters. For example, heart attack risk is higher, suicide rate is higher, reported mood is lower, and stock returns are lower. Even emails sent on a Monday also contain more grammatical mistakes and are less positive. Especially positive outcomes on Fridays have also been reported, but with less consistency. This pattern suggests that, at least in terms of mood, Mondays (and possibly Fridays) may be qualitatively different from the other days of the week, which are themselves relatively undifferentiated. A second pattern emphasises gradual change from negative to positive through the week. For example, we observed that medical appointments on Mondays were much more likely to be missed than appointments on Fridays. Critically, the rate of missed appointments declined monotonically over the intervening days. This pattern suggests that, rather than being qualitatively different, Monday and Friday may be two extremes along a continuum of change. Unfortunately, this research is constantly at loggerheads with the idea that there is a universal worst day of the year. This can in fact be traced back to a press release from a travel company in 2005. There is, in stark contrast to weekday research, very little evidence to suggest that seasonal changes in mood exist - a key exception being those who suffer from Seasonal Affective Disorder (SAD). Regarding weekday effects specifically, the big challenge for future research is to try and understand what might be driving these effects. In an ideal world, I would rather that these issues were not continually overshadowed by the lazy reporting of a phenomena that has long since been publicly debunked.